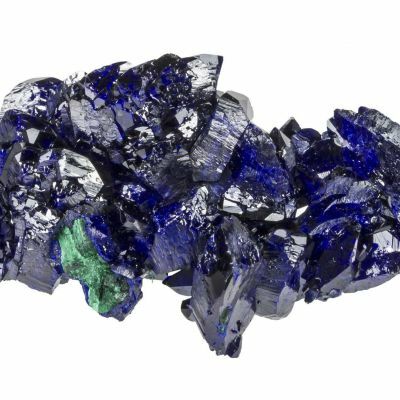 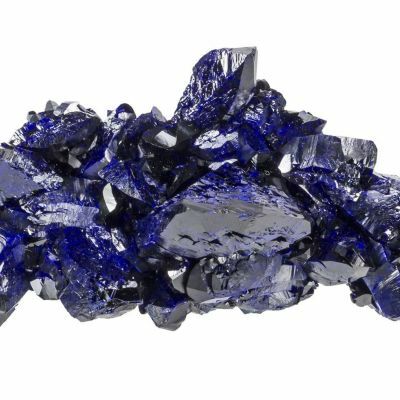 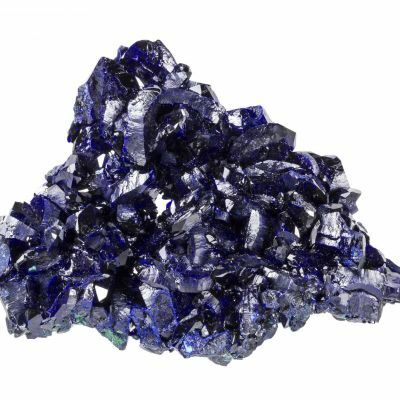 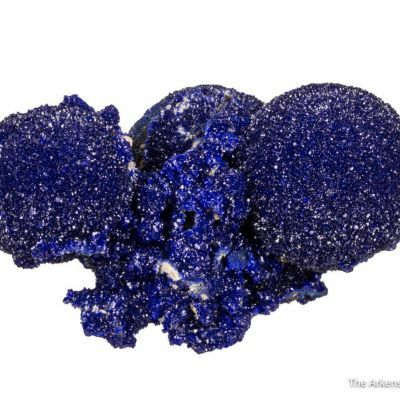 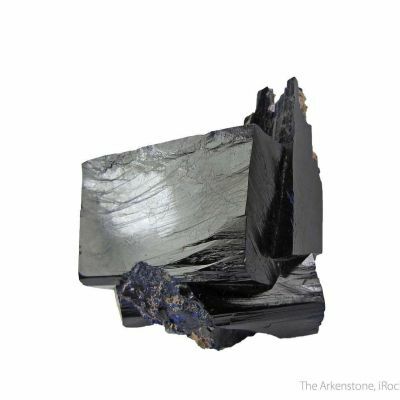 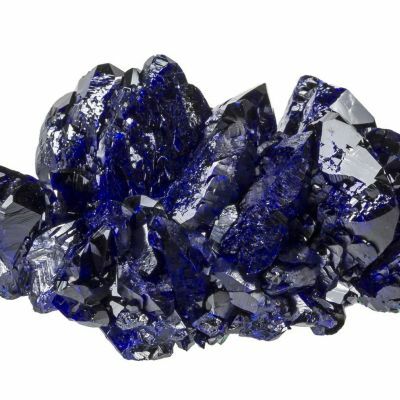 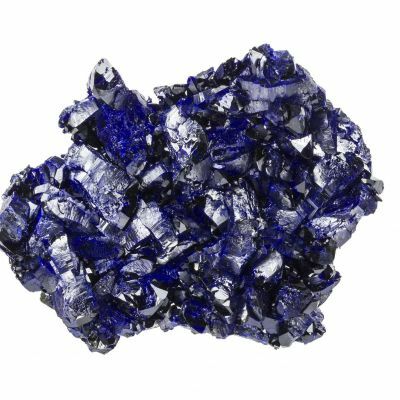 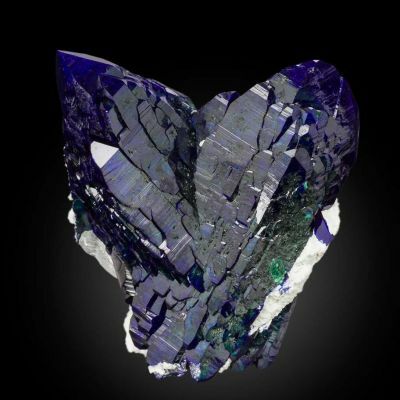 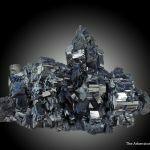 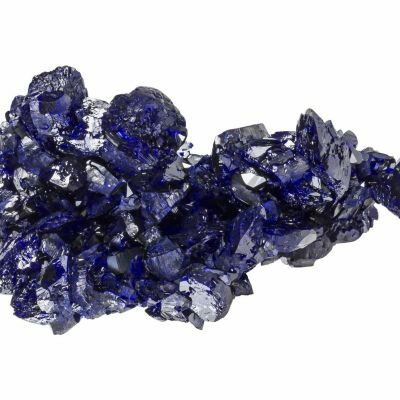 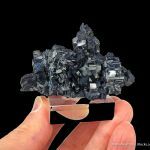 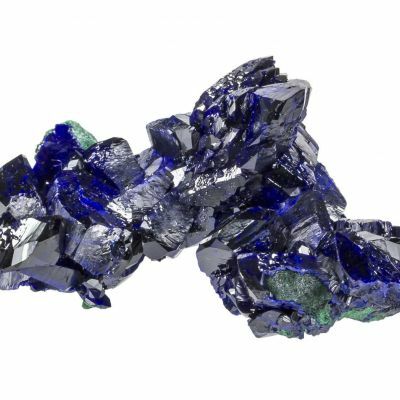 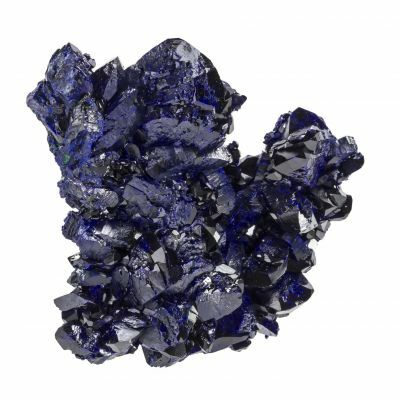 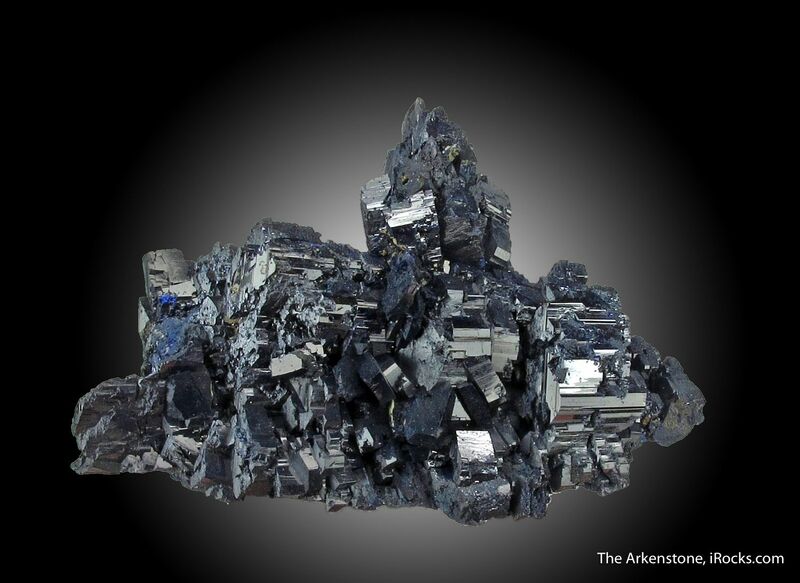 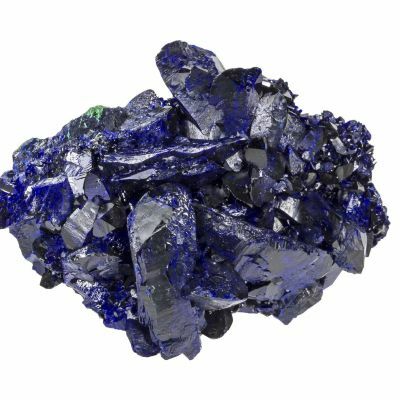 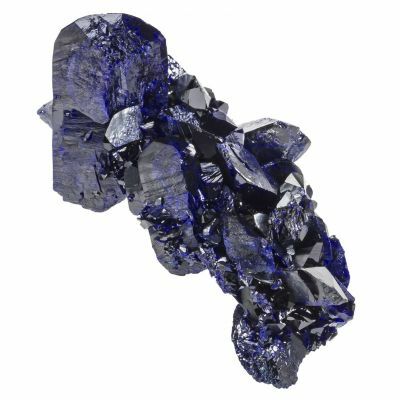 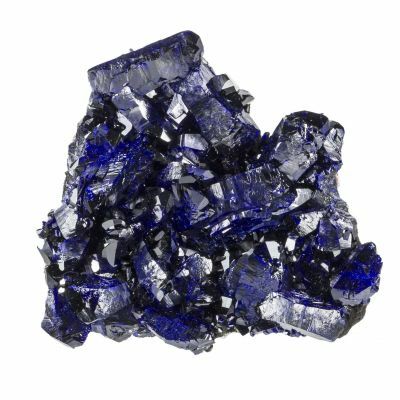 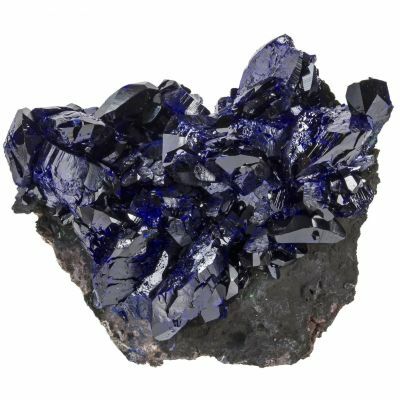 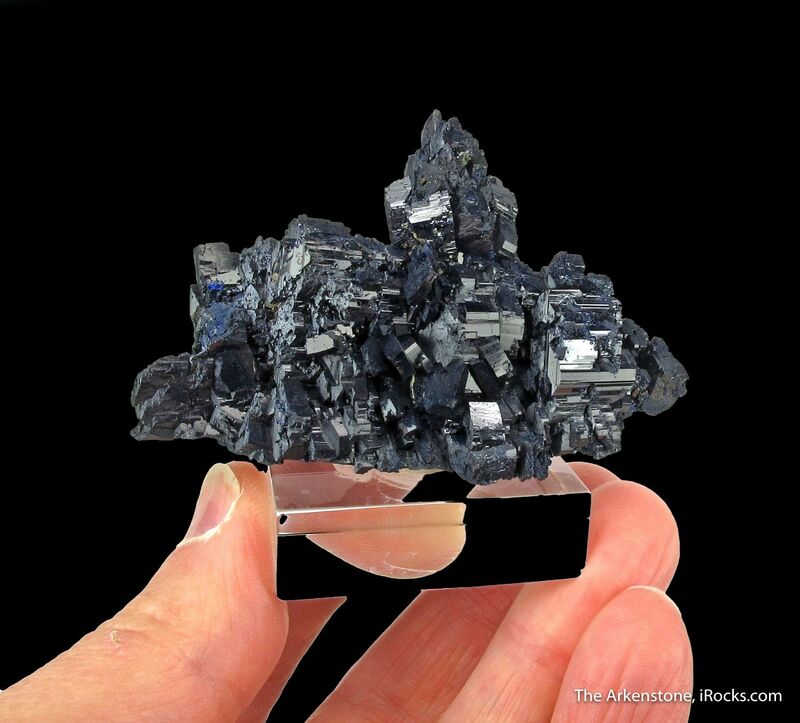 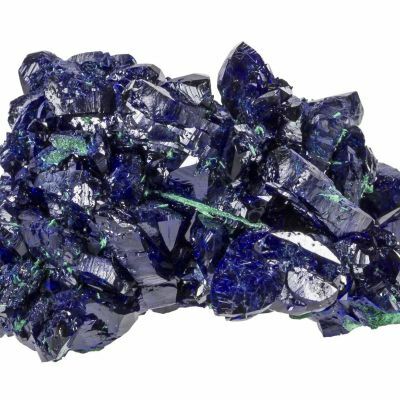 Large and complex cluster of lustrous, deep blue Azurites from the famous Tsumeb Mine. 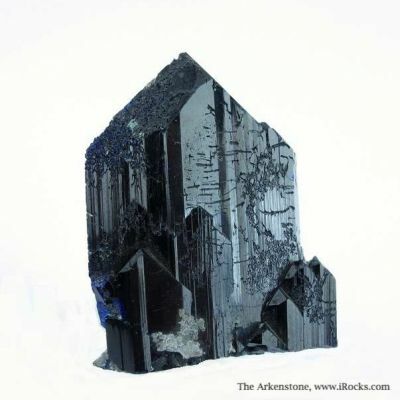 The crystals range up to about 2 cm, and are simple to complex blades, most of which are oriented up/down as displayed. 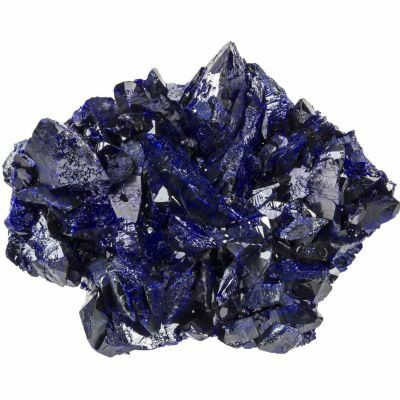 Much of the luster is very good, and the color so deep that the crystals are opaque. 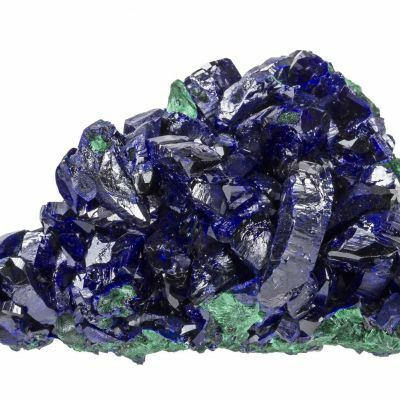 The nature of this cluster is rather unusual, and quite attractive in its own way. 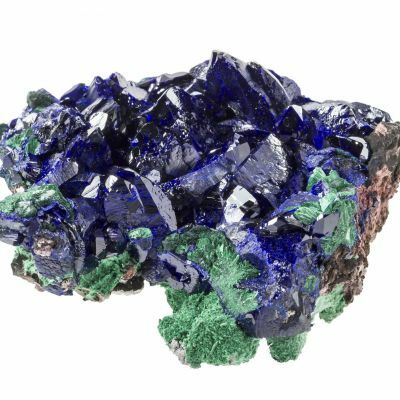 Certainly you rarely see Azurite clusters this size from Tsumeb. The geometry rather reminds me of the Anasazi cliff dwellings. 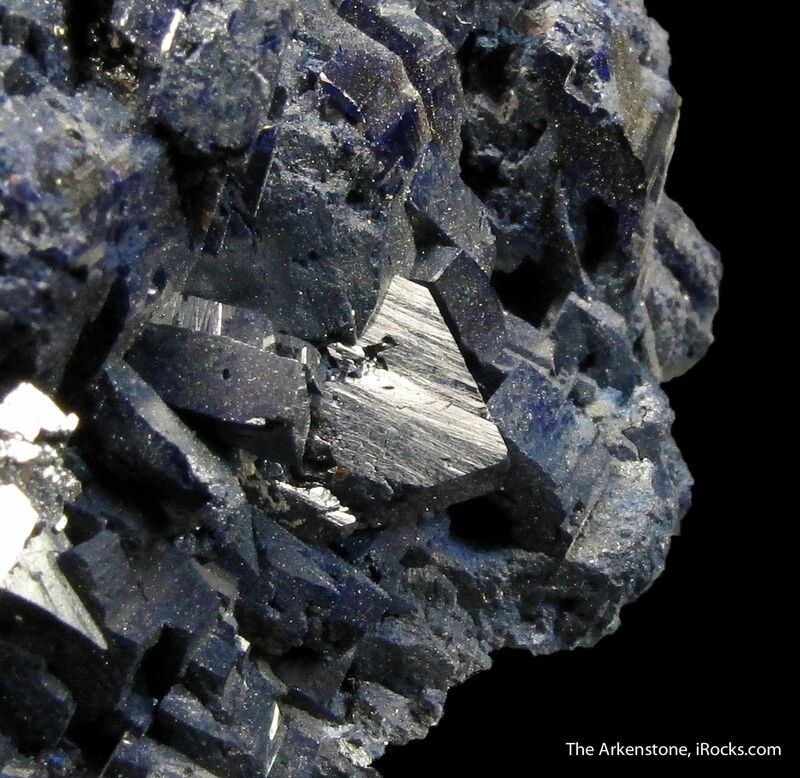 Good and unusual aesthetics, and from a classic locality.